The Sustainable Energy Roadmap (SER) is an 18-month initiative focused on providing free resources and technical assistance to San Joaquin Valley jurisdictions to improve their sustainability and social equity goals. The program, launched in January 2015 and sponsored by California's Strategic Growth Council, uses an innovative online roadmap platform and hands-on engagement to assist jurisdictions and disadvantaged communities where sustainable energy potential is abundant, but resources and information are scarce. With help from the SER team, participating jurisdictions receive resources and support from industry experts to develop a customized policy roadmap containing guidance to set and pursue high-impact goals related to smart growth, transportation, land use, climate, and energy. Below, you'll find our participants’ Sustainable Energy Roadmaps, outlining the goals and actions taken, and supported with relevant case studies, reports, and tools to support local and regional sustainability efforts throughout the San Joaquin Valley — whether you're a resident, business, installer, or local public agency. Please click on our participants below to explore each City's tailored roadmap and track the latest progress and achievements designed to accelerate clean energy market and social equity advances by making sustainable energy development easier, more cost-effective, and accessible for all. Free Solar Prescreens for SER Cities! All San Joaquin Valley communities are able to receive a free solar prescreen if they sign up to be part of the Sustainable Energy Roadmap. This solar prescreen will identify potential areas for solar installation in your city and is also the first step towards participation in the San Joaquin Valley Solar Collaborative purchasing effort. SEI and Optony are able to offer free technical assistance for a limited time! Information on additional benefits of being part of SER are listed below. Any city in the San Joaquin Valley is eligible to sign up. To sign up, please email nathan@seiinc.org. Visit this link to see updates from the Sustainable Energy Roadmap intiative, highlights from new pilot projects, workshops in your region, and other programmatic events. Please visit this link for our comprehensive resource library and a selection of key sustainable energy resources for a variety of initiatives in your region. Let us know if you’re applying to any of the selected opportunities. We may be able to partner/offer assistance. Interested in pursuing solar or energy efficiency upgrades at the residential, commercial, or municipal level? 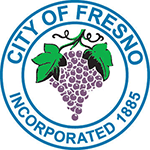 Visit this link for tailored selection of key resources and information on the available funding opportunities in the San Joaquin Valley - tailored specifically to the residents, businesses, and local governments in the region. Please contact the Sustainable Energy Roadmap team for additional assistance.